My background is 28 years of administrative training & customer service, so when I say I take care of my customers, I. Take. Care. Of. My. Customers. 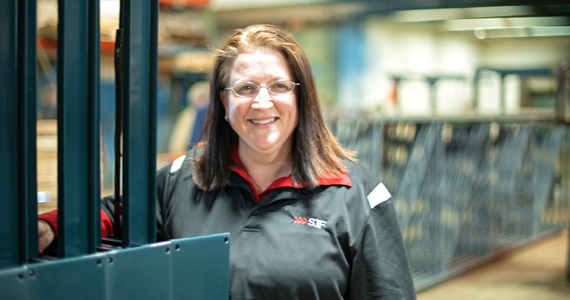 For the most part, Material handling purchasers are nice folk; polite and courteous and fun to talk to, so it’s not a problem to provide timely communications, quick order processing, after-order follow-up…all things a good CSR knows how to do. Now, imagine my alarm when I did just that on my largest order to date, only to find that the vendor had shipped 20% of the order in error. Be still my heart. TRUTH 1) You can do everything right, and there still may be something that goes wrong. This is the number one reason for customer follow-up. If you can catch errors quickly, you can start on a solution before the customer even knows there was a problem, and you can then begin to make it right. In my case, thankfully the customer was more than understanding and the vendor was very prompt in rectifying the error. I am a list maker. I have the mother of all worksheets that’s currently tracking all of my progress, current orders, lost orders, pending issues, etc. I analyze this list often to ferret out hidden trends. I was just looking over my lost orders recently and I found the second truth – this one is for my customers. TRUTH 2) It’s going to be sold if you don’t nab it now. On a daily basis, we have thousands of dollars of pallet racking being put onto trucks and shipped to customers across the United States. Used teardrop pallet rack is a HOT COMMODITY. When I tell my customers, “These will not be here long. They are hard to find used and are a very popular size,” I expect them to heed my warning…but they don’t always. They think I’m using a sales ploy, and several have had to find out the hard way that it’s the cold hard truth. For example, one day I had three signed quotes. I had to re-address each one because the customers took too long to return a signed order. When I finally did receive the orders, the material I had quoted (1 day prior) was already gone. It’s times like these that I’m grateful SJF has a lot of other racking to offer in substitution. In the end, I found equivalent racking for each of these customers, and all were happy, however I still find many customers want a quick quote and are not so quick to give you a final decision. Although I’ve had some hiccups along the way, I’m convinced that I made the right decision moving into sales. My days at SJF fly by at warp speed, and I’m constantly learning new things. I look forward to continuing to work with clients both large & small. If you have some feedback or other things you think I should know about Material Handling Sales or sales in general, please post a comment below. This is a great blog. Excellent content. Thank you so much Manufacturing Marketing Innovation 2013 for the positive feedback.